My goodness! 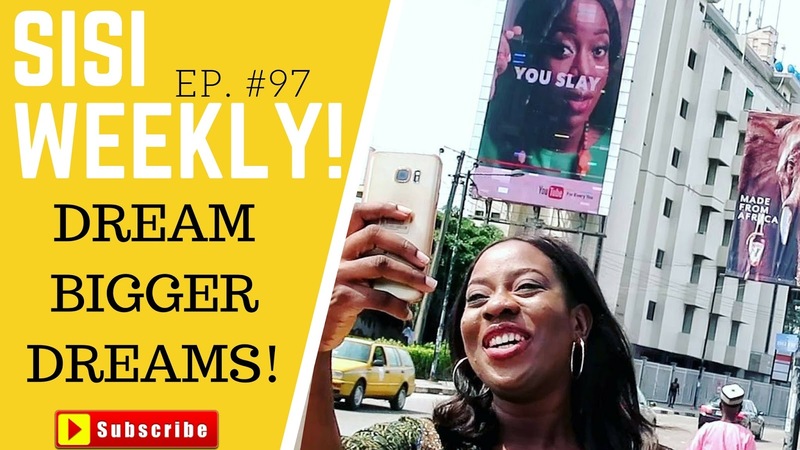 One of my wildest dreams came true you guys, I'm on Billboards all around Nigeria representing YouTube! Scream with me! God is gracious! If you remember I mentioned I'd love to be on a billboard in one of my videos earlier this yea or last year and now it has happened. This is a reminder for me to continue to positive confess and to work towards what I want to happen!Have you SUBSCRIBED to my Channel? There's a SISIYEMMIE MOVEMENT going on! Click HERE to subscribe. amazing ! you were practicing visualisation and you didn't even know it, now we are applauding you,well done ! God bless you our Sisi...keep making us proud. Awwww. I saw the billboard at Ikeja and I was shouting in the car 'see sisiyemmie!!!' Lol! You're an evidence that dreams do come true! BABY NAMES WE LOVE BUT WON'T BE USING! HOW TO MAKE COCONUT CUPCAKES! SO I TRIED ITALIAN FOOD | DID I LIKE IT? I FOUND THE MOST DELICIOUS SHAWARMA IN LAGOS! 8 PRACTICAL WAYS YOU CAN SAVE MONEY !